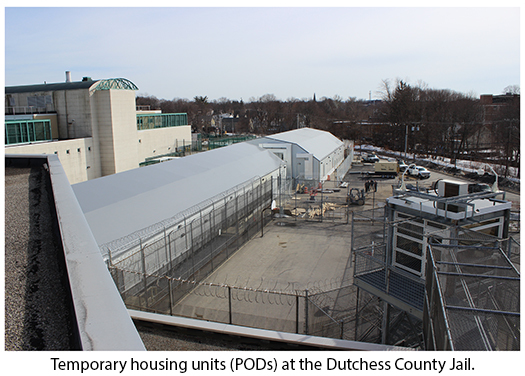 Following funding authorization from the Dutchess County Legislature in 2014 and a limited time variance from the New York State Commission of Correction (COC), temporary housing units (PODs) were installed at the current jail site. The PODS were opened in May, 2015 and have the capacity for up to 200 inmates. Dutchess County has been able to return inmates who had been housed in other facilities across the state to our own facility. The new housing configuration is providing annual savings of $1 million per year and are expected to be in use for approximately 3-4 years as the new Dutchess County Justice & Transition Center is designed and built. The PODS enable inmates to participate in programs and services that they would not have had access to if they were housed in other facilities. 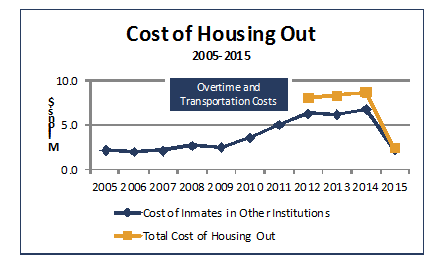 By bringing inmates back and housing them locally, Dutchess is seeing a positive impact on the length of stay and the total number of inmate days, saving further costs and providing a better picture of the jail capacity needs. The Dutchess County Department of Public Works contracted with Proteus Corporation to provide the modular housing units. DPW also contracted with local engineers to prepare the site utility connections for the modular units. June 3, 2014 Resolution Authorizing Temporary Structure Services Agreement (Lease) with Proteus On-Demand Facilities LLC in Connection With Temporary Inmate Housing at the Dutchess County Jail. Learn more about Proteus On-Demand Facilities, by visiting their website.